The city of Belfast will once again be a key host for this year’s Circuit of Ireland Rally with organisers revealing a new home for the Circuit’s Rally HQ and Service Park. The King’s Hall will play host to the Circuit which will be one of the last large scale events at the popular 1930’s venue. “Belfast City is a key hub of the Circuit and it was important to identify a new top quality location to house our Rally Office and Village, Service Park and Media Centre and one which has easy access to all stage routes across counties Antrim and Down. “Titanic has been a fantastic site for the past two years but with further development and new infrastructure at Titanic Quarter, it was necessary to move to a different location to acquire the space and accommodation needed for the 1000 plus competitors and team personnel. 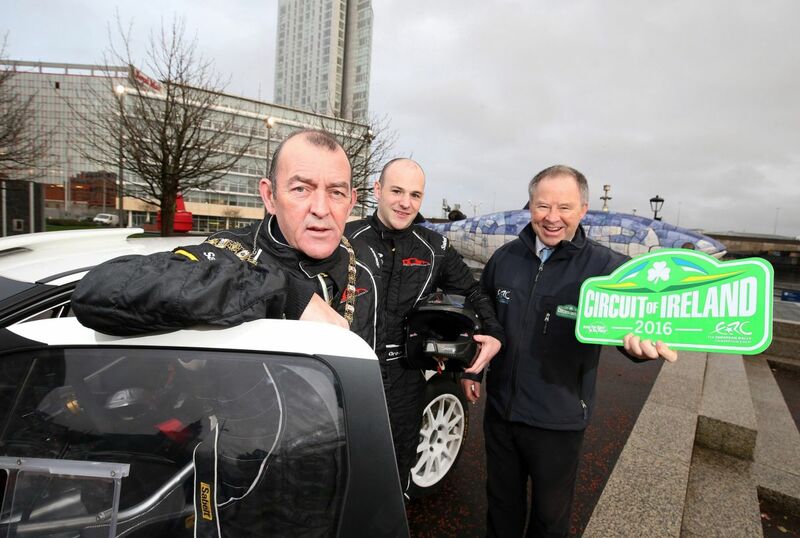 “We’ve thoroughly enjoyed our partnership with Titanic Quarter, but the Circuit team is looking forward to utilising a brand new venue and especially one which has a historic connection to the Circuit of Ireland Rally. Entries are set to open in early February and organisers are expecting another bumper entry in 2016. Agreed @Graham , traffic will be a nightmare, it is a good location though and probably has better facilities. Any indication where the stages will be this year? It would be nice to see them move a day away from the high-hedge stages east of Lough Neagh and vary the terrain by spreading it out a bit over the country. There is congestion everywhere in Belfast. I'm sure consideration is being given to keeping cars moving..... Stage locations are somewhat limited by road mileages but I can assure you they are all excellent stages. Anyone who is interested in marshalling, give me a shout. I'm "technical zone manager" this year so covering service, refuel, tyre fitting, regroups etc etc but happy to help you get allocated to marshal on stages if you prefer.